Jeff Siegel, the former head of licensing and syndication at Verizon’s Go90, has been hired by Group Nine Media to be its new senior vice president of distribution. In his role, Siegel will be responsible for driving sales and strategy around the company’s expanding intellectual property library, which includesdigital brands Thrillist, The Dodo, Seeker and NowThis. Siegel will be based in the company’s New York headquarters and will report to chief network & IP management officer Mickey Meyer. Siegel, who has more than 20 years of experience monetizing digital content globally, most recently served as head of licensing and syndication at Verizon’s short-lived streaming platform Go90. During his time at Go90, Siegel oversaw off-platform content licensing and syndication for its original programming. Siegel also helped the company secure its first international content licensing deal. Prior to that, Siegel served as VP, international distribution at DEFY Media where he oversaw content monetization for the digital studio outside of the U.S. Lest we forget, Halloween is more than just jump scares and “slutty (insert profession here)” costumes. 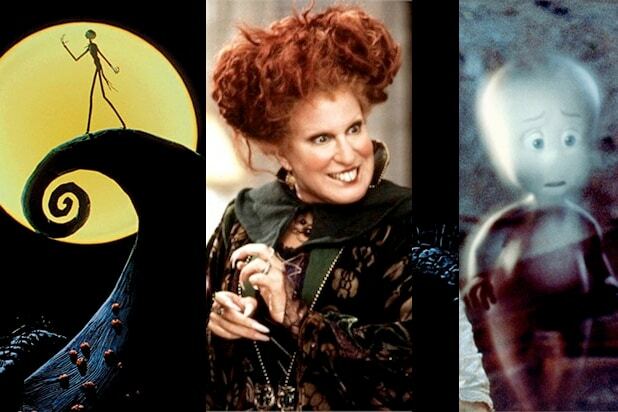 From “Hocus Pocus” to “Caspers,” here are the spooky-but-PG-or-below movies to introduce to the next generation. Despite being rated PG, “Hocus Pocus” is a classic, iconic Halloween movie, and its cult status has only gained in the 20 years since its release. This remake of the 1980s classic has a phenomenal comedic cast of funny ladies, and luckily, this is modern reboot that didn’t go the “dark and grounded” route, making it a fun Halloween adventure, even for kids born with a smartphone in their hands. Michael Keaton plays a mischievous spirit intent on causing chaos, go ahead and say his name three times and he’ll bring plenty of fun — but nothing too scary. This claymation adaptation of Neil Gaiman‘s classic novella follows a girl who discovers an alternate world that’s just this side of creepy … but not too scary. Does Halloween even exist in the world of Hogwarts? No matter, because this fantasy epic has spawned millions of costumed fans. And since there’s eight movies, it’s the perfect marathon binge for Halloween weekend. Ray Bradbury narrates this adaptation of his own book of the same name, and it’s an Emmy-winning Halloween romp that’s also a history lesson about the origins of the holiday. Carnivals are pretty much never not-scary, but this adaptation of Ray Bradbury‘s novel is just the appropriate amount of scary. Though he sees dead people, Norman’s relationship with ghosts is much more wholesome and friendlier than that of Cole Sear’s from “The Sixth Sense.” Eleven-year-old Norman, played by Kodi Smit-McPhee, teams up with his friends and family to ward off an incoming raid by the living dead.